To welcome our little mangalites , K.R. 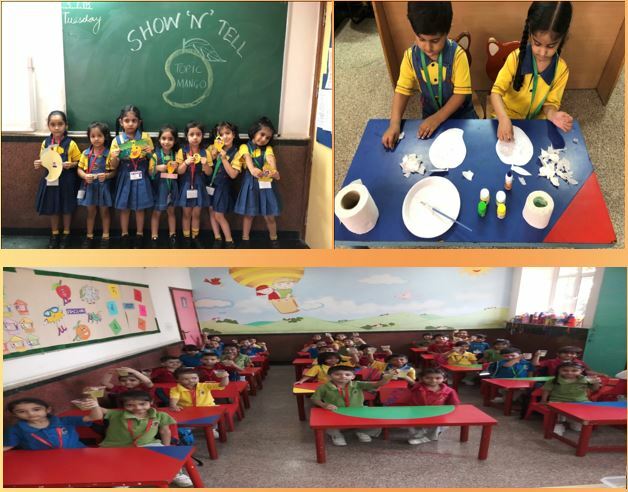 MANGALAM WORLD SCHOOL , Paschim Vihar planned a “Mango Week” celebrations from 3 July’18 to 6 July’18. During this week many activities were planned for the kids based on the theme “Mango”. Activities like Show and tell were organized for kids in which children had to speak a few lines on mango. Mango craft activity was also organized for kids in which they really enjoyed. Activity of mango tree was also there, in which children brought one cut out of mango with one of their wish written on it and later all mangoes were hanged on the “Mango Wish Tree”. “Mango ka Funda” activity was also there in which children brought different flavours of Mango beverages. The children thoroughly enjoyed the mango week.